Last week it was announced that the New York City Council was introducing new legislation to alter the landmarks law in favor of historic preservation. But just four days later, after facing scrutiny for proposing already-existing stipulations to the law, the council spoke out that they were in fact not proposing any legislation. 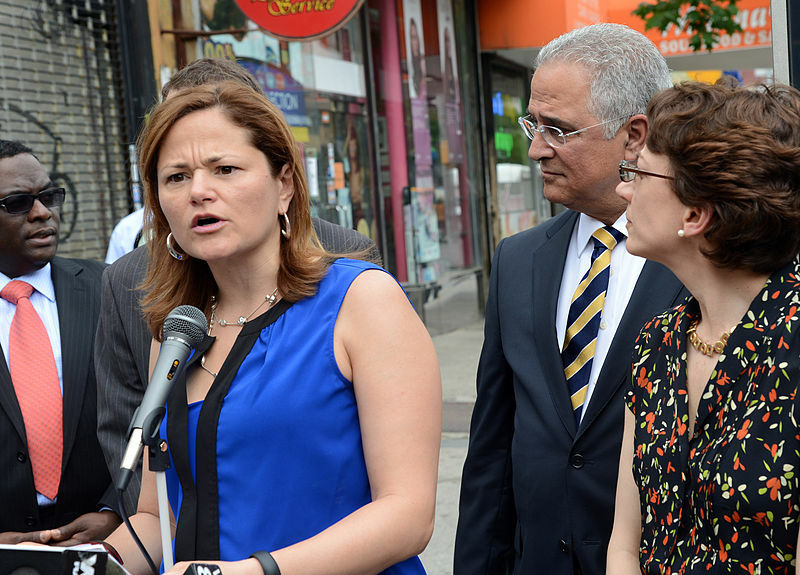 Now, Council Speaker Melissa Mark-Viverito has revealed with perfect timing Council 2.0, “a new tech program aimed at familiarizing and engaging residents with the city council,” reports Next City. The goals of the program include making the council’s website more accessible, using social media outlets like Facebook and Twitter to generate feedback on hearings, programs, and proposals and creating a new website called Council Labs to help New Yorkers visualize the budget process. 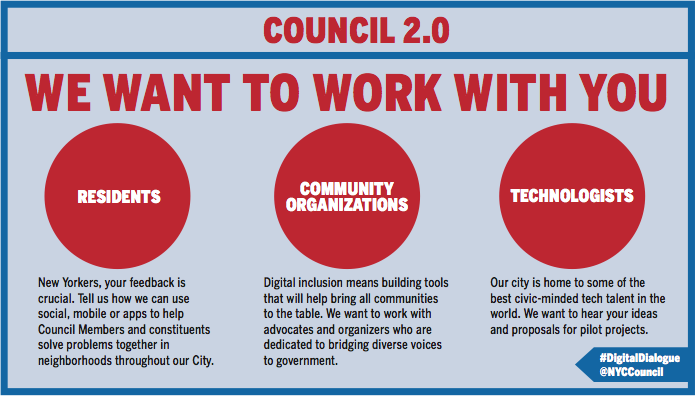 An internal committee of the city council called the Working Group on Public Technology and Civic Engagement worked with experts in the digital technology field to conceive Council 2.0. The project will be rolled out in phases, creating new ways to utilize social media and mobile technology to engage city residents and making publicly accessible council reports and the legislative database.